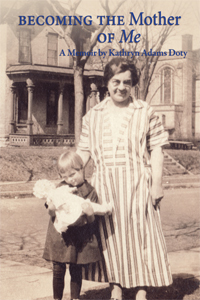 Kathryn Adams Doty grew up in Minnesota as the daughter of a German Methodist minister. After his untimely death, she must come to grips with her father’s wish that she become “a blessing for mankind.” In 1939, while a student at Hamline University, Kathryn entered the popular radio talent contest, Gateway to Hollywood, and headed to California. In the final round of competition, she was paired with a young actor named Hugh Beaumont, whom she later married. A brief career in motion pictures followed, in which she had roles in movies with stars as diverse as Ginger Rogers, Bing Crosby, Maureen O’Hara, Irene Dunne, and Lionel Barrymore.